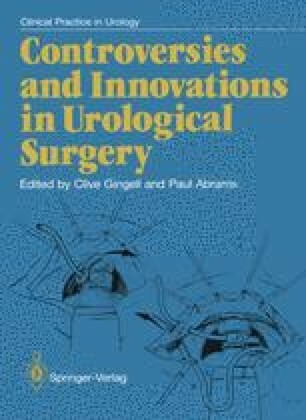 In relation to the long history of the treatment of urethral strictures, the use of any modality other than dilatation is a comparatively recent innovation. Dilatation, or bouginage, usually monthly and for decades, was the rule for centuries. During the last century an internal or transperineal open urethrotomy was occasionally performed for an impassable stricture, but only (usually) with the intention of establishing a channel that could subsequently be managed by dilatation. Nonetheless, although some patients were plagued by haemorrhage, septicaemia and a worsening of their stricture, many men have been happily treated by regular dilatation, and dilatation is the yardstick against which the effectiveness of other treatment modalities must be judged.